Well, why not compliment the HWC Sneak Peaks today. 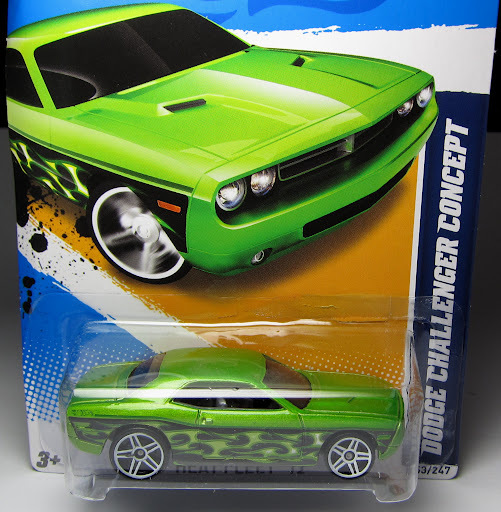 I saw the Challenger and totally forgot I had it to show off in our First Look series. Realism may not be this particular version’s strength, but I do like the white PR5s a lot. To be honest I have never been particularly fond of this model. I remember when it came out, Dodge had revealed the Challenger Concept at auto shows and I was blown away. It was the coolest mix of modern and classic muscle I had seen, and I was dying for a diecast version. 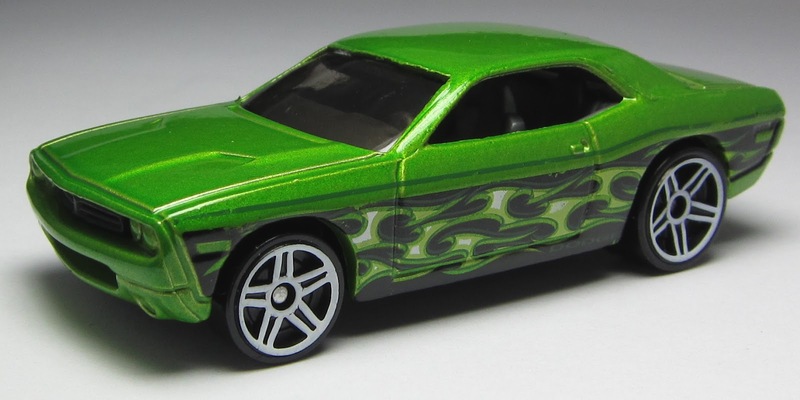 Hot Wheels released this casting, and I remember being happy to have it, but in the back of my mind I was disappointed with the looks. The large rear wheels just don’t work. One of the great things about the real car is its stance and overhanging wheel wells, and that can’t be captured at all with the way the casting was made. So I always look at this car and think “bummer”. Extra bummer the next year when they released a version of the production car and they did the same thing. Matchbox thankfully released a more realistic version the next year.